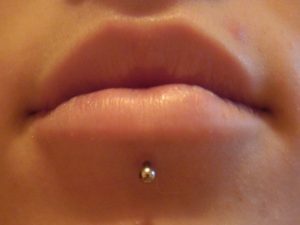 Surface piercing is done on a smooth and flat skin at the base of the lower lip. Labret piercing, on the other hand, starts from your lower lip and protrude down your chin. These type of piercings were common among the ancient tribal people of Central and South America. People who want to add a cultural flavor to their personality and a little flare of metal on their face can choose this type of piercing. Ornamentation on chin almost always attracts a glance. It conveys something about the wearer’s personality of self-expression. Men groom their facial hairs to accentuate a pierced Kuki whereas women choose decorative studs or rings. Chin piercing is liked by many in modern times despite its tribal origin. It is a saying that the fashion cycle goes round and the ancient things, as well as old things, become a fashion trend with the passage of time. 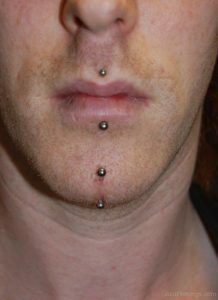 Chin piercings can be either vertical or horizontal. Horizontal piercings are less popular than vertical piercings as former takes more time to heal. 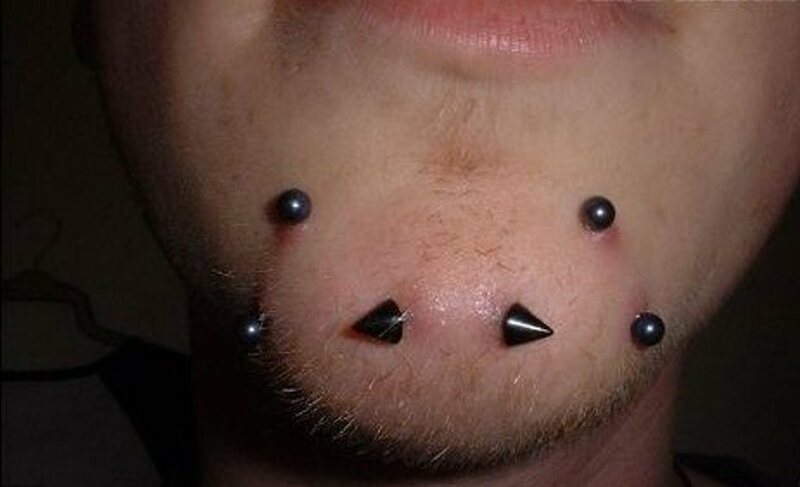 Studs, surface barbells, curved barbells, and rings all are quite familiar to wear in chin piercings. 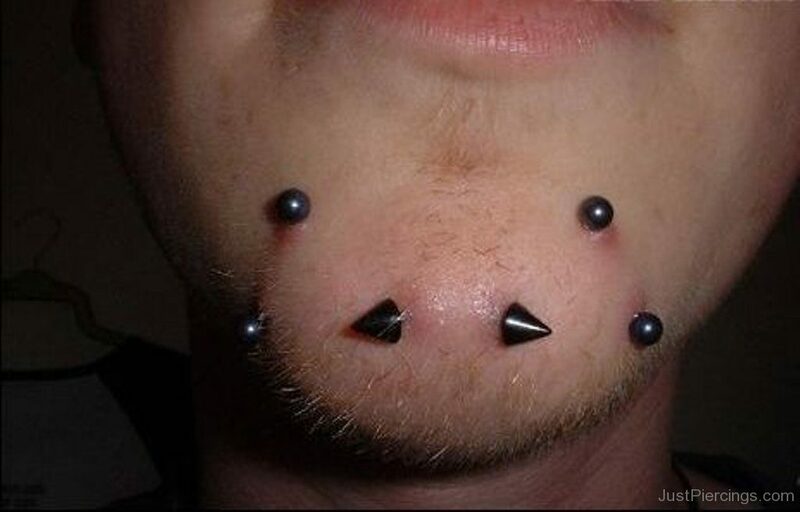 Pierced chin tends to be most popular among teens, young boys and girls. It is a unique style which leaves an impression that is unforgettable. 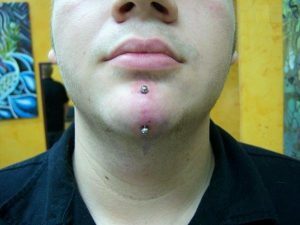 Chin piercings are known for this trait as they are very close to the lower lip, they get easily blocked. The lip region is generally fleshier than another facial part, so the muscles start clogging the perforation as soon as the jewelry is taken off. So, people have it temporarily. Healing scar may or may not remain depending on the duration you wear it. Chin piercing is a little less complicated than other facial piercings. 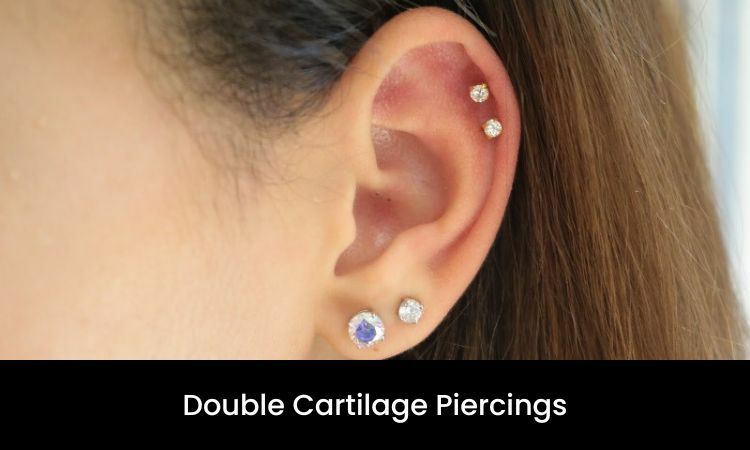 Although it hurts quite as much as other piercings, it is manageable and a favorite among youngsters. You need to visit a piercer’s salon to get it correctly. The piercer will numb the skin of your chin. He/she will punch a hole in the skin. After that the labret or stud insertion takes place. You need to keep in mind some simple advice as a part of aftercare to heal quickly. Do not touch your piercing with dirty hands as it may contaminate and cause infection. Eat healthy and nutritious food rich in vitamin C. It will help in healing quickly. Use clean towels and handkerchiefs to wipe your mouth and face. Clean the area regularly with sea salt solution using cotton. Make a paste of turmeric and mustard oil and apply it on that area. It inhibits bacterial growth. Initial swelling and tightness in muscles are quite common, but if it lasts longer or causes pain, you might have chances of contagion. Prolong pain and swelling, bruises and redness. Pus seepage from the perforation. Do not remove the jewelry as it will block the hole. Consult a doctor and take the prescribed medicinal cream or ointment, whatever he suggests. There are several options available in the market to adorn chin piercings. Barbells, Labret, Studs, and Rings are a few names on the list. The metal of jewelry should be hypoallergic and non-reactive as it reduces the chances of infection and discomfort. You can choose Gold (not gold plating), Platinum, Niobium or Silver to wear on your chin piercing. 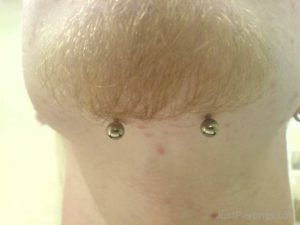 Chin piercing typically costs $40 to $85. The cost may vary with the type of jewelry selected and type of parlor.